There are few things worse than watching a movie that is full of potential crash and burn. Sadly, Syfy’s newest movie 400 Days never quite reaches the heights its creators envisioned. While the network should be commended for at least trying something more serious than Sharknado 7, the movie is a victim of too many cooks with little to no direction. The biggest waste in the mess is the talent, including: Brandon Routh, Caity Lotz, Dane Cook and Tom Cavanagh. Syfy basically poached the secondary characters from CW’s superhero shows and put them all in a convoluted science fiction tale. The story, such as it is, follows four potential astronauts who have signed up to spend 400 days underground in a bunker that will simulate their time in space. If they leave for any reason, they forfeit their right to go into space and their careers will end abruptly. Leading the team is Theo (Brandon Routh) who we are introduced to at the tail end of a four day bender. Chief science officer Emily (Caity Lotz) is already scheming with the unabashedly evil director of operations (Grant Bowler) while Dvorak (Dane Cook) and Bug (Ben Feldman) have undefined jobs on the ship. Despite what we’re told is months of training everyone seems amazingly surprised at their surroundings and entirely unprepared for any and all events that comes their way, science fiction or not. 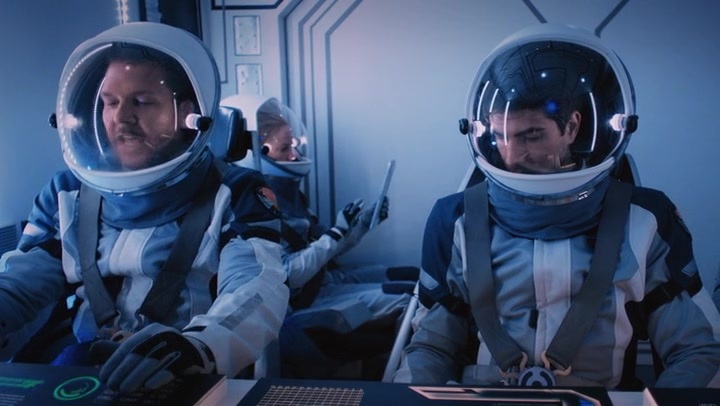 In their very first moment as a functiniong crew they must undergo a simulation where their ship is malfunctioning. In that moment Dvorak barks out orders while Theo just kind of zones out until he’s ready to save the day. It is hard not to thank that none of these people are qualified for the space program. 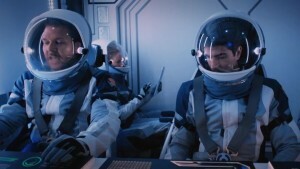 Dane Cook and Brandon Routh lead a crew of would-be astronauts in SyFy’s newest film 400 Days. All of this happens before the main plot even really kicks into gear. Somewhere about the quarter point of the movie a huge explosion rocks the bunker from the outside and everyone panics. Rather than investigate they end up getting side tracked until the problem literally comes bursting through their door. More than that they all seem to have major psychological hang-ups to the point there’s no chance NASA would even consider them for astronaut training. This is one of those films where you can actually feel the filler in the story. Syfy knew it had to fill a two hour time slot so it most likely merged three or four scripts it had lying around and turned into a science fiction tale. You can almost see them checking off their criteria as he story unfolds. Space, check. Paranoia, check. Let’s add some cannibals and a plague in for good measure. Check. Still, the cast does their best given the material they are handed. Routh once again shines as he plays a bad boy who spends most of the first part of the movie hungover. Later on in the film Cavanagh shows up as a psychopath and ends up stealing the entire show. If they had simply stuck with a single plot thread and committed to it the movie could have been so much better. Instead there’s no clear plot and, even worse, no payoff.